Featuring songs from AKB48, Exile, One Piece, and Pokemon. 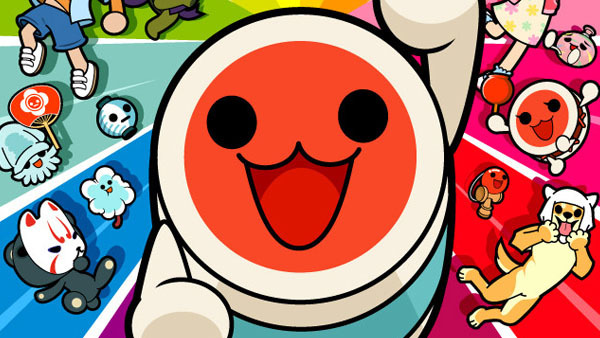 Taiko: Drum Master is coming to Wii U in Japan later this year, the latest issue of Weekly Famitsu reveals. Due out on November 21, Taiko: Drum Master Wii U Version supports GamePad play and up to four players. When playing on the GamePad alone, the game is controlled using buttons. When using the TV screen together with the GamePad, the game uses touch controls. The Wii remote, and the drums and drumsticks from the Wii version of Taiko: Drum Master can also be used. New additions to the game include a Baton Pass Performance Mode and masks of Mario, Luigi, and Golden Bomber Darubisshu Kenji. Wii U, Bandai Namco, Famitsu, Game Announce, Taiko Drum Master: Wii U Version!